This product is expected to ship on Wednesday, April 24 if you place your order within the next -2 hours and 58 minutes. 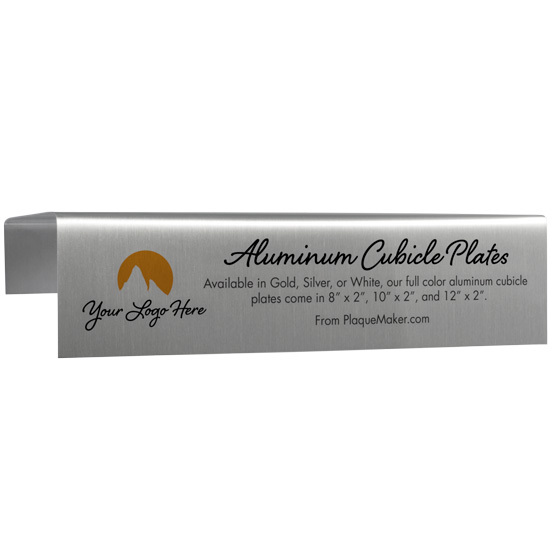 Make it simple for staff to identify other workers with these aluminum cubicle name plates. 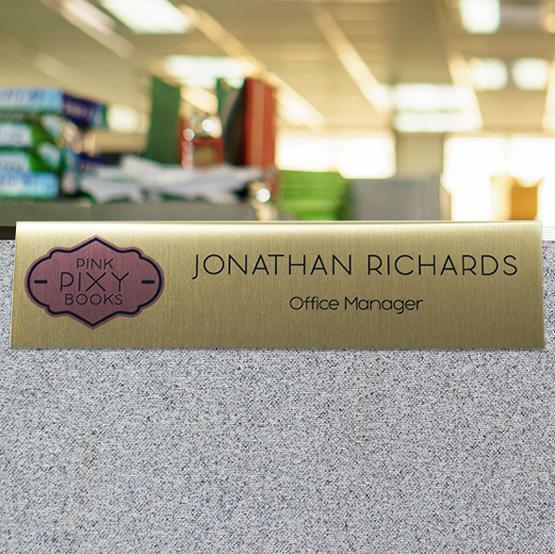 Designed to fit along the edge of cubicle-style panels, these 22-gauge aluminum name plates feature sublimated full-color printing and versatile design options, including the ability to add your own graphics and text. Silver, gold and white options ensure easy matching with most work spaces. Very happy with how they turned out. 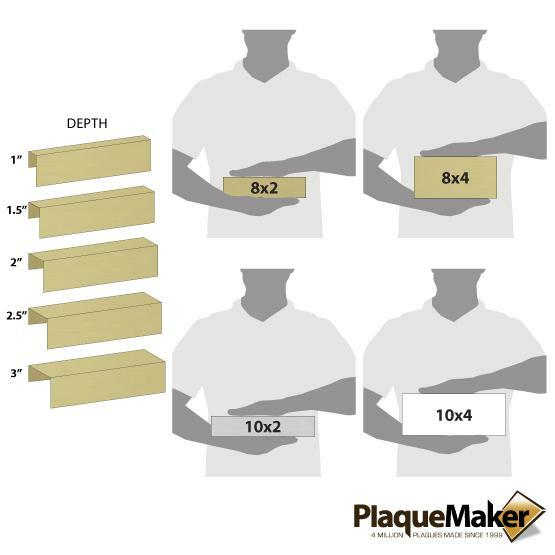 Plaque Maker delivers a quality custom product in a timely manner. I will definitely be placing future orders. Awesome service and great product. My rating is based on ease of placing the order, expedient confirmation of placing the order, within 24 hour proof sent for approval. The product print is accurate.